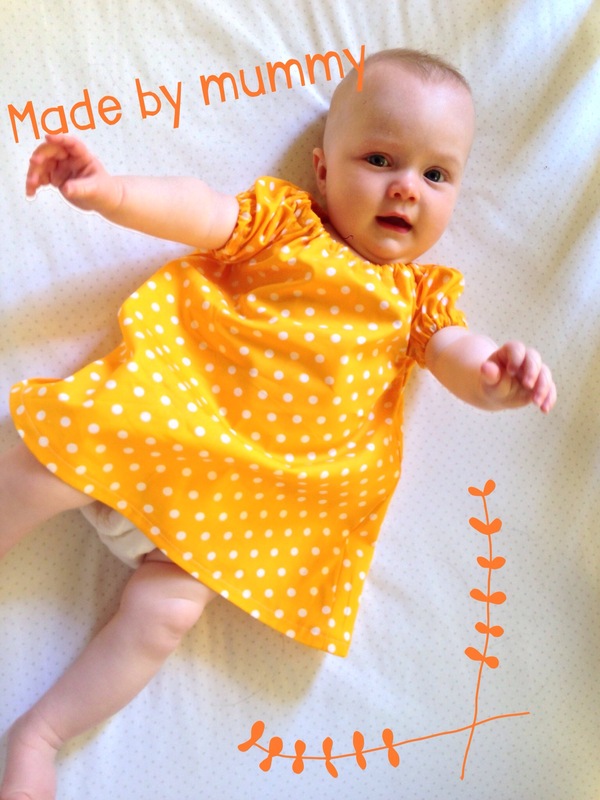 My daughter is going to be Baptised on November 2 and given that I am embarking on this sewing journey, I thought it would be nice if I made her dress for her. Nothing like a bit of a challenge! I thought that if I found some really nice fabric, I could probably find a pattern for something very plain and simple and let the fabric be the feature. I heard some chatter on a Facebook group that I am a member of called The Sewing Library about a nice little fabric wholesaler here in Perth that is open to the public called Potter Textiles. It isn’t far from home so I headed off to look for a nice Broderie Anglaise. The fabric I found was a beautiful silk/cotton blend that should be fairly simple for a beginner to sew with but also should be really elegant in the finished product. Next mission was to find a pattern. I asked for some advice on the aforementioned Facebook group and one of the suggestions that came back was for the Ginger Baby Plum Pudding Peasant Dress and Bloomers. I didn’t want to waste my beautiful new fabric on any mistakes so I made a tester in some poplin that was on sale at Spotlight. A good start and it helped me to decide on the next size up as it was a bit tight around Baby Girl’s arms. 1. 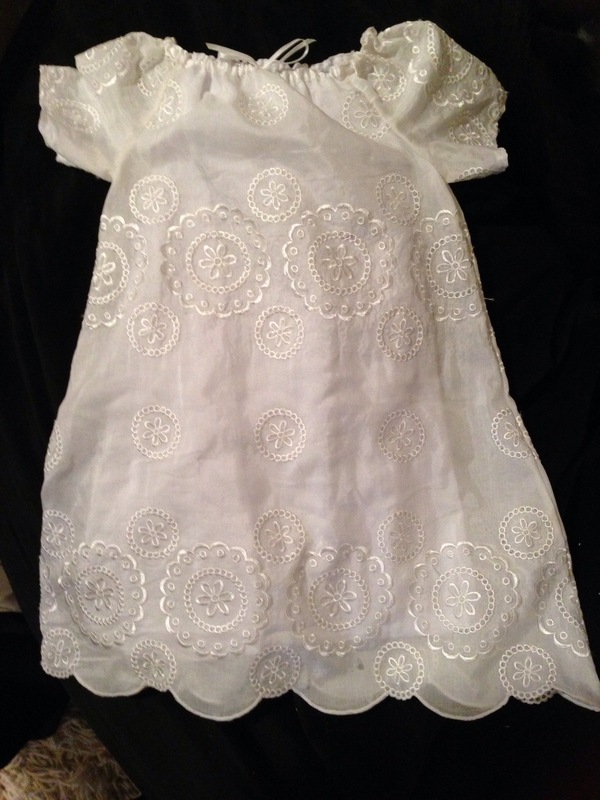 We lined the dress with cotton voile as my fancy fabrics is very thin and a bit transparent. 2. We didn’t put elastic in the sleeves because the fabric is so fine and transparent, we didn’t want to see the elastic through the casing. 3. We used ribbon instead of elastic around the neckline for the same reason as in point 2. 4. Instead of a normal folded hem, we used a satin stitch to join circle patterns on the fabric and then put Fray Stoppa on the fabric before cutting to give a scalloped hemline. 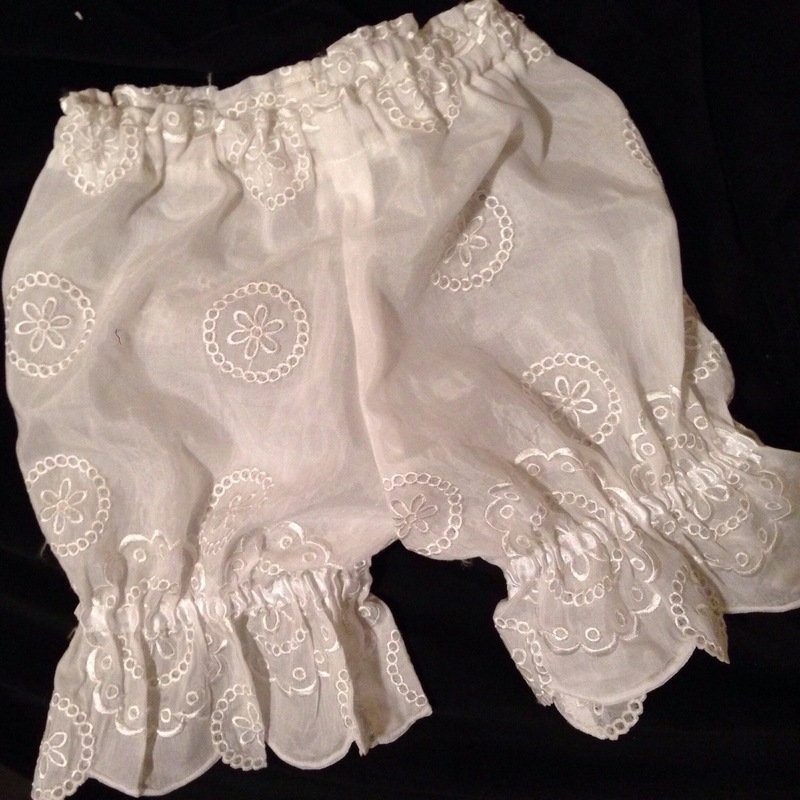 Next were the matching bloomers. I like them so much I just may have to make some myself with a matching camisole out of the same fabric as summer pyjamas. I will post some pictures of the big day when it happens!